The new Lord Bishop of Sodor and Man has been named as the Venerable Peter Eagles. The 57-year-old is currently the Archdeacon for the Army as well as Deputy Chaplain-General of the Royal Army Chaplains' Department. He succeeds the Right Reverend Robert Paterson who retired last November. 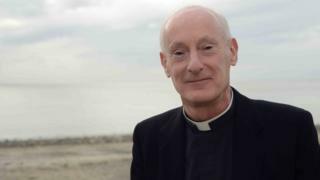 Rt Rev Eagles said he hopes to "support the people of the Isle of Man in their spiritual and historic identity and in looking confidently to the future." The married father-of-one added: "Among many other tasks, the bishop is to be chief pastor, a focus of unity, and a leader of mission. "I therefore hope to encourage all Christians on the island to support everyone who lives here, and to lead the Church in its work of caring for people in every community". Sodor and Man is the smallest diocese in the Church of England, overseeing 45 churches and 27 parishes. It is unique because the bishop is a member of the Legislative Council of Tynwald, the Manx parliament. Rt Rev Eagles was appointed Honorary Chaplain to the Queen in 2013, and in 2015 was made an Honorary Canon of Salisbury Cathedral.